Another proud child put me in touch with her parents, Lenair and Marilyn Altman. 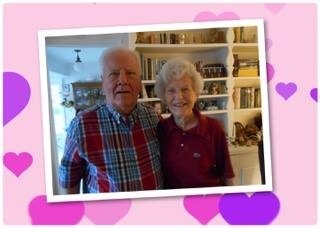 They have been married for 62 years. Yes, that is something to be very proud of for both parties: couples and children. In a previous article, I mention that with couples one is the storyteller or comedian and the other is the listener. I mention this again because when I came in, I commented on how beautiful their home is and asked if I could move in as it was certainly big enough. (I found the storyteller) In the first few minutes of the interview, I learned the Altmans had built the house they’re in now in 1967 where they raised their daughter and only child. During which time, Lenair worked at the International Paper Mill for forty years before retiring while Marilyn was a nurse, even before they got married. “Why was that?” I asked. “No big wedding then?” I asked. We talked for a piece about different things. Marilyn and I shared a few nursing stories while Lenair and I talked about the old days. She opened the first recovery room in Georgetown County and helped get school nursing put into the schools. Lenair and I talked about J. C. Cox’s Gulf Station at the fork on S. Island Road and, of course, my father-in-law’s Maryville Shell station just down the street on Fraser and Martin Street. I think most Georgetonians will eventually ask who your family is. It’s just a part of the culture here. I’m telling you: Lenair just needs a bow tie and a cigar and he could be George Burns. Marilyn would make a great Gracie Allen – she just shakes her head at him. As I stood to go, Lenair pointed out his beautiful backyard. I had been admiring it from where I was sitting. It’s just as magnificent as their home. I was sorry to go, too. They are a great couple and I truly enjoyed our visit. Happy Valentine's Day Lenair and Marilyn. I hope you have many more to come and thank you for this opportunity.